Editor’s Note: The following review was posted in November 2010. I came upon it recently – the review as well as the perfume (in my “shunned and ostracized samples” box) and I just cannot let it stand like that. It has a high number of hits still and therefore it is time to take a second, or third look. Read the old review first and meet me again afterwards to hear my newer impressions. See you in about 500 words! My review of Louve should have been a post in the “What Makes Me Run For The Shower” series, but since I sat it out, without succumbing to the temptation to scrub it off (and I was rewarded too) I thought I’d include it in the Lutens week, to keep that from going in the direction of total hero worship. Above are a few of the associations I had upon sniffing Louve. I always start a review by consulting my notebook, re-smelling the scent and brainstorming to create such a list as you can see above. Usually, the list gets incorporated in the text or only serves as a reminder for me. Louve leaves me so stumped, I thought I might as well let you read my list of associations. 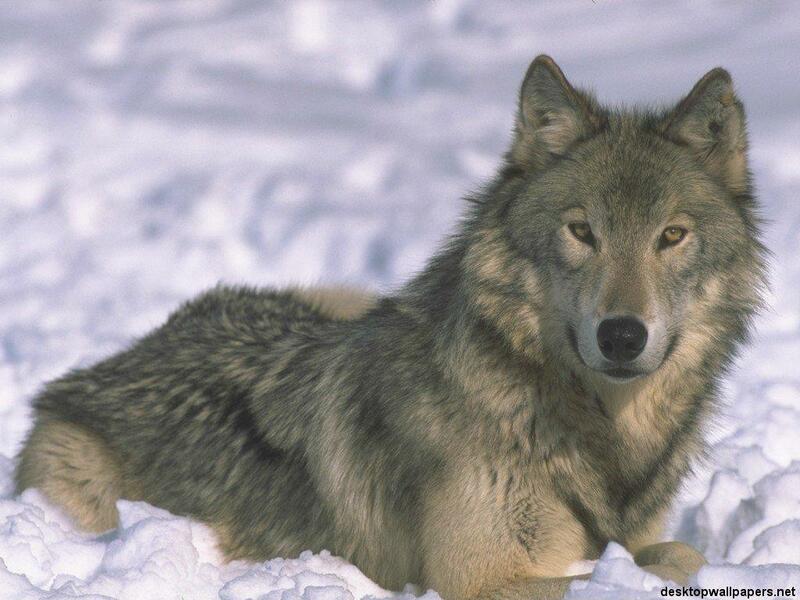 Louve, means She-Wolf in french. Am I the only one wondering how that name came about for a scent like this? May I suggest Un Bois de Cerise? Or Cerise Criminelle? Or better yet: Cerise Khublai Khan? At least one would know what is about to come. Lacking a descriptive title, one turns to the notes: they include almond, rose petals, fruity notes, jasmine petals, amber, musk and vanilla powder. Aah, sounds good, doesn’t it? But here it is hidden, in the middle of the notes line up, “fruity notes” it says. Well, yes, that is correct, though it should be written like this “FRUITY NOTES” (and make that bold print, too). I’m sorry, but there is soooo much cherry in there, it totally ruins the fragrance for me. It smells so artificial, so cheap, so much like artificial food flavoring, complete with sugar overload, artificial dark red coloring and accompanying stickiness. But I sat it out, and after hours and hours of tenacious cherry (it is an Eau de Parfum Haute Concentration after all) there emerged a very beautiful, sweet and powdery, almondy drydown that I really enjoyed. But, sadly there is no way I can wade through six hours of dark red cherry mist to get there. I am not happy about that review. I want to review only the winners, but now and again I need to tell about the other side too. I’m sure we all have (many) fragrances that don’t work for us. It is a wholly personal thing, and I’m sure there are many Louve – lovers out there, and I envy them. I would kill for that drydown alone, it is magnificent. But the cherry-plastered marathon until I’m there puts me off re-experiencing it forever. But one should really think about a new name, maybe Sa Majesté La Cerise? Any Lutens you can’t take? Tell me in the comments! Editor’s Note 2: So, here we are again. Bad, huh? The cherry to end all cherries, one would think… As I said before, I re-tried my sample, with some trepidation as you can imagine, and I ended up pleasantly surprised. Not that I am about to run out for a bottle of Louve, but after the initial cherry blast which in truth lasts a few minutes, not several hours, I really like what I smell. Almond softness in greyish hues, dark-red fruit-tinged heliotrope, powdery vanilla dusting it all. Cosy actually. Cosy and soft, sweet and warm. I still find the name somewhat unsatisfactory though – Jeux de Cerise? Un Cerise Noire? Feminité de Cerise? What do you say? Picture sources: desktopwallpapers.net, mynewsletterbuilder.com, mimifroufrou.com some rights reserved, thank you! This entry was posted in Fragrance Reviews, Fruity, Serge Lutens and tagged Almond, cherry, Fragrance, heliotrope, Louve, Perfume, Review, Serge Lutens. Bookmark the permalink. Back then, when it was launched I seemed to be the only one out there enjoying this. But then again, I’ve always been an almond fan. I was bold enough to buy a FB (I rarely go with the masses…). The cherry phase is rather short with me, and I get a strong almond from the very beginning on. It’s one of my winter staples though, I’ve never tried it in summer. I had a hard time with the two you mention as well, but by now I’m a big fan of Tubereuse Criminelle. As for MKK, I can at least appreciate it, even if I would not wear it. I haven’t tried it (issues with Lutenses) and I’m not a big cherry fan but I quite liked Cherry Musk from Ramon Monegal Barcelona. This is as far removed from Cherry Musk as possible (I like that one too). Cerise Khublai Khan is indeed befitting to Louve. I am now intrigued and want to smell this over the top cherry Lutens. The one I cannot stand is Vitriol d’Oeillet…yuck! Vitriol is not my fave either. hey B, I sneaked out of the office at lunchtime to go and have a cherry ride…A ride it was indeed, an OMG WTF type. I am adding this one on my yucky SL list. I do love almonds and will stick to my Acqua di Parma Mandorlo di Sicilia version thank you very much! Also a great almond scent for cheap is Roger&Gallet Amande Persane. Do you know it? 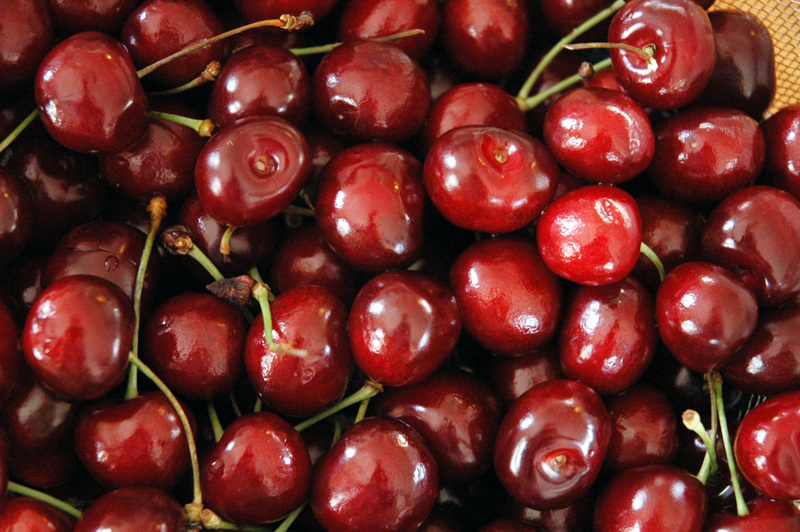 I am not a fan of cherry as a note – or of the fruit in its tinned, cocktail or glace form – though fresh cherries are lovely. I was highly amused by your initial review and take on this one – in particular the moniker ‘Cerise Criminelle’ and the notion of a ‘cherry-plastered marathon’! Hhm. Don’t think I can sample this one. While I love almond, I don’t care for fruity/ berry/cherry/plummy notes in my perfumes at all. Citrus fruit – yes! I’ll even take peaches. But any berries, plums, currants, or the like send me running! I’ve tried and tried – Badley Mischka, Kenzo Jungle Elephant, Miss Dior Cherie, Cartier So Pretty – can’t get into them. I had been thinking about sampling this one only because I like the name, but you have saved me some trouble because I can’t abide cherry notes in any quantity. I can only forlornly wish that somebody would make a perfume with a she-wolf character. If they could capture some of that wild elegance, I would be their best customer. But cherries? Sheesh. I adore Louve and have a bell jar of it. It is all almonds and comfort on me and one to wears tucked up in bed on a cold night. I also have bell jars of Tubereuse Criminelle and Amber Sultan which I also love. I cannot bear Fleur d’oranger – smells like cumin cat pee to me. However I like to wears Fleurs d’citronnier on a really hot, humid day – I find it quite linear though and can’t wear it any other time. I can see what you mean about Fleur d’Oranger, it can be hard to take on some skins. Louve must be perfection on a cold night, I’ll make sure to ry it again then. You make me laugh. I loved it Birgit, it’s about as cranky with perfume as I’ve ever read you. He He he, it feels so naughty!! Thanks for the forewarning! I adore fresh cherries, but it sounds like you are talking about those neon-red Maraschino orbs that come in jars, or plasticky candied cherries – eeugh. I’d probably enjoy a perfume based on the flavour of a fresh Lapin cherry (tart, rich, bold, meaty and winey), but not paired with heavy musk. As for other Lutens perfumes: not keen on violet-focused anything. I love Chypre Rouge and Muscs Kublai Khan when carefully sprayed, but it’s (very) easy to overdose. You are welcome, Axum! Lovely to hear from you, I hope you are very well! You are right, the cherries in Louve are of the Marachino variety. I bought Louve a few years ago without really thinking, I just had the word “almond” in my head…..but in fact, like all the SL’s, it makes me sick, too heady…….My favorite almondy perfumes which are, too, my signature scents, partly because of you for the lattest are Oriental Brûlant by Guerlain with white almond, benzoin, amber, vanilla, mandarin, incence and Tardes by Carner Barcelona I can’t leave since 2 months!!! Hope your so cute boys feel better and you enjoy your summer. so happy you are enjoying Tardes! 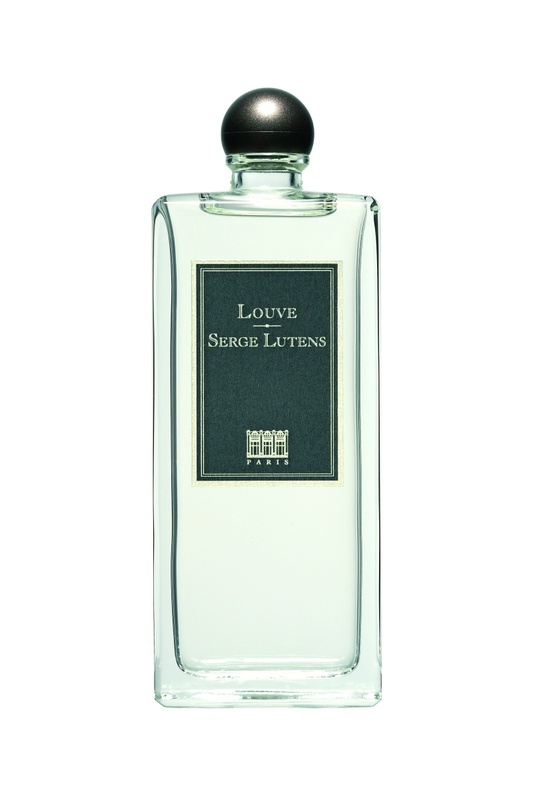 Louve (and many other Lutens’s) are very heady indeed. I really love Clair de Musc lately though, the tamest Lutens there is I believe, and therefore also the most underappreciated. It’s a cuddly soft, but elegant beauty! This made me laugh. A lot. Really funny, Birgit. I got a kick out of the ““FRUITY NOTES” (and make that bold print, too)” and “Sa Majesté La Cerise.” Hell, all the list of potential name candidates — “Cerise Criminelle? Or better yet: Cerise Khublai Khan?” I’m grinning all over again just typing that out. I haven’t tried Louve, primarily due to reactions or comments like yours. And I’m really not tempted to try it after reading this, either. I’m not keen on sweet perfumes, and purple isn’t my favorite perfume colour unless it involves violets. (The worst perfume purple is fruited purple patchouli, in my opinion. It is a GHASTLY thing!) As for difficult Lutens fragrances, I think La Myrrhe may be the one I struggled with the most. It has the most brutal opening. Gah, just thinking of it sends a shiver down my spine. I agree, Kafka, the purple patch á la Coco Noir et al makes me queasy. Huh, I’ve heard such hymns of praise for Ylang 49! How interesting! Well, that is all the more reason not to fret that I can’t get samples easily here. I bow down in awe at the feet of your cunning, linguistic punniness. The issue is, what do you win? I’d send you a sample of La Myrrhe, but I don’t want to put you off perfume reviewing for life. LOL. 😉 😀 Thanks for the laughs, Birgit. I had fun. Thank YOU, dear Kafka ! I had fun too. Hugs right back at you! 🙂 Have a lovely weekend too! I hope the hairy German is well. Hm, that’s interesting! I abhor Coco Noir, can’t stand it (must get rid of my sample somehow) but I absolutely love Ylang 49 and planning to by a FB! I’ve never thought of them as similar, must sniff again. I hope you get paid by the companies for the things you write. If not, you should!!! Totally impressive how well you can describe fragrances! No, I get paid by no one! Have a very good weekend, too! I haven’t tried this one. Probably “yet” – just because Serge Lutens brand has proved that their perfumes are worth testing even if they aren’t “my thing” from the notes list: you never know how it smells on you until you try. I don’t think I’ll like it and not a single lemming moved in response to this review (though several of them got a good chuckle from those “FRUITY NOTES”) but I will test it when I get a chance. That is very true, with aLutens you never know!!! You should try Clair de Musc though, I think you could love that, it is my latest obsession. Not much love for Louve out there, but I like it quite a lot. It took a while for me to decide how I felt about it though. I find it to be a comforting scent. I like to wear it when I’m not feeling well or just relaxing at home. The cherry in it just makes me happy. The almond and powder notes make Louve cuddly. So for me, it’s a happy and cuddly scent. It’s a big pink teddy bear (I wonder what that is in french?). Sorry Uncle Serge, I realize I’m not doing you any favors with my description. What’s interesting, is the Lutens scent I can’t handle well is similar to Louve, Rahat Lokum. It should come with a vial of insulin, it’s so sweet!! How about Jubilé de Cerises Bombe? Isn’t it funny how something in a perfume bottle we hated last year turns to something not so hateful a year later. I wonder why? LOL yes I hope we do too! Hmmm, I have absolutely no recollection of trying this one. I’m not the biggest fan of cherry notes (easily smells like cough drops to me), but I do like almond-y fragrances. On the list it goes! I loved reading this post by the way! It’s terrific to revisit things, isn’t it? I think of what used to repel me and what I wear now. What a difference! I may sound fruit-proof, but: I do not find Louve to be cherry heavy! There is definitely an initial burst of cherry but at least on me it goes after 15 min into a rather plain creamy-almond scent with a certain sweet, starchy quality. It smells exactly like drinking a creamy almond bubble tea. I really enjoy Louve, but I feel Rahat Loukhoum is so much better with the same idea in the same line, I’d rather just buy a second bottle of RL. I remember RL as very sweet on me as well, but I need to give it another shot soon (when it is cooler though).